News from Jan Dale in Melbourne is that the Western Flyers will be performing live to air on Southern Style on Tuesday 26th February. The Western Flyers are a multi award-winning Western Swing trio from Texas. This is their second visit to Australia. Everybody raved about them last time so it will be a special show. The Western Flyers entertaining show is sure to astound the music fan in all of us. I love The Western Flyers. They are a fearlessly dedicated band that swings hard. Joey, Katie and Gavin, in the words of Handsome Harry, “Lay it down where it stays down till they leave town”. Their music makes me smile. When I listen to them play I know that I am in the presence of modern masters in motion – Marty Stuart. Together they perform with a brilliance and panache that will draw in any fans of traditional American string music.” – Bluegrass Today. The most wonderful modern take on post-war Western Swing – Country Music People. Somewhere, Bob Wills is smiling – No Depression. 22 and 24 Feb – Tathra Hotel, NSW. 26Feb – Mountain Pickers Association, Ferntree Gully Bowls Club, Vic. 28 Feb – Valencia Creek, Vic. Southern Style host Jan Dale has been awarded The Mick Geyer Award. The Mick Geyer Award is given in recognition of an individual’s outstanding services to PBS and, more importantly, the broader music community. This award recognises an individual’s specific and sustained contribution to Public Broadcasting Services and to the general music community over a number of years. Jan Dale has been presenting Southern Style for 21 years delivering a broad range of bluegrass and old-time music along with interviews with local and international artists. Anyone who has undertaken a weekly radio program will know the amount of work required to keep the program, relevant and fresh. Mick Geyer was a broadcaster and journalist in the alternative Melbourne music scene in the 1980’s and 1990’s with a passion for music and contemporary culture. With a personality to match his formidable range of interests, Mick made a lasting impression on many people, often moving from interviewer to friend in a single conversation. Congratulations Jan for a most deserving award, and most of all for the recognition you deserve for your tireless work at PBS. Just heard from Jan Dale who next week will devote her radio show Southern Style to Bluegrass, Old Time and related music used in the soundtracks of films. These include feature films such as O Brother Where Art Thou, Cold Mountain and Passion Fish, Television series, and documentaries made about Cajun music and Blues. Tune in next Tuesday 5th June Southern Style. This wonderful radio show may also be streamed to your computer, so you might like to also catch Jan’s special in the archives of the PBS website. October 2 – The Knott Family Band playing live to air before launching their debut self-titled CD on October 10th at Open Studio, Melbourne. October 24th – Mile Twelve Band (U.S.) Live to air performance and interview. Whitetop Mountaineers will be performing live to air on Southern Style on 24th January. Southern Style is a long running and highly popular bluegrass and old-time music program hosted by Jan Dale and broadcasts out of Melbourne on PBS FM106.7. For fans of American old-time mountain music (and roots music lovers alike), the Whitetop Mountaineers are a live act not to be missed. From Virginia, USA, Martha Spencer and Jackson Cunningham return to Australia by popular demand. On their previous 5 visits the duo stunned and delighted audiences across the country with their performance of American mountain music, song & dance – they are the ‘real deal’. 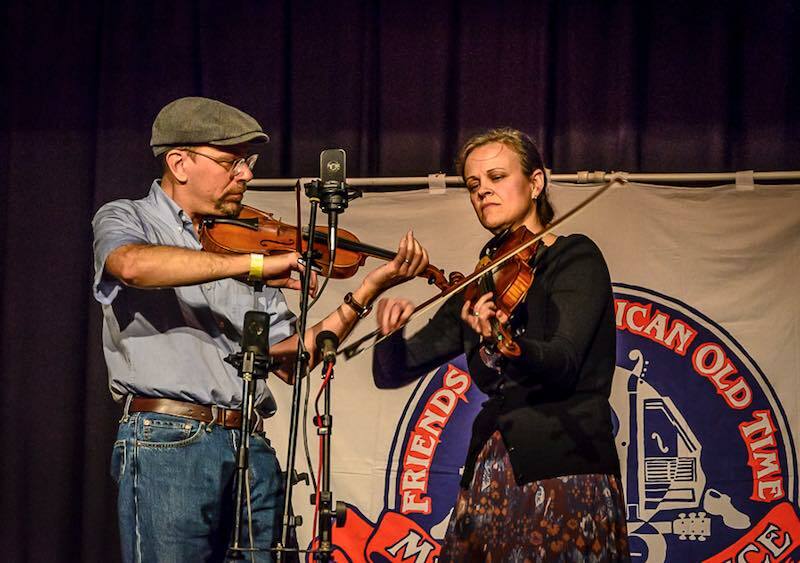 Both are skilled multi-instrumentalists – Jackson on guitar, mandolin & claw hammer banjo, and Martha on fiddle, guitar & banjo. 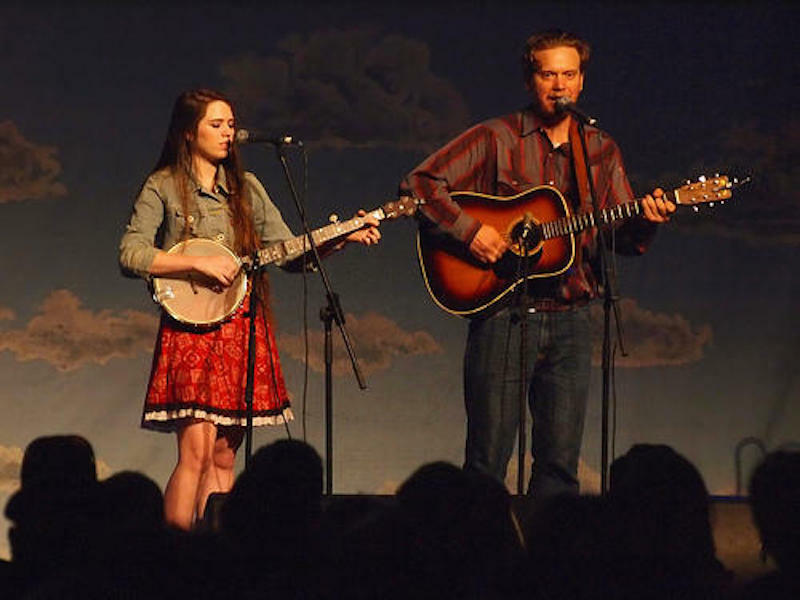 They are both strong vocal performers and their close harmonies are indicative of the old-time and bluegrass traditions from which they draw their repertoire. In addition to being a talented musician & singer, Martha is also an exceptional dancer and teacher of the art of Appalachian dance. Jackson is also a highly skilled luthier and his beautiful hand crafted fiddles are in high demand. 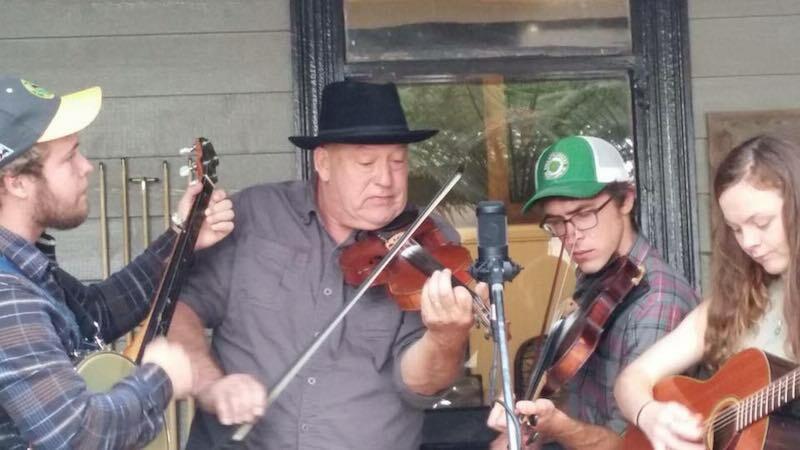 A lot of our music comes from local tradition and sources in the Appalachian Mountains. There is a big musical tradition and cultural heritage in Virginia where tunes, playing styles and songs are passed down in families, communities and generations. We both grew up in musical families and music & dancing has always been a big part of life. The Carter Family, Stanley Brothers, and Doc Watson all are from the same area and were influences. We also pull from old country like George Jones, bluegrass, and whatever music we like. Martha also enjoys writing a lot of songs that we perform – Jackson Cunningham. Jan Dale will have The Haywood Billy Goats as her guests on Tuesday Nov. 15th. The Haywood Billy Goats are an old-time string band out of Chatham County, North Carolina, performing traditional regional repertoire. The band’s hard-driving sound and infectious groove have earned them top finishes in a number of string band contests and put them in demand to play for square dances throughout the Southeastern United States. Members of the group have won ribbons at the Galax, Mt. Airy, Union Grove, and Fiddler’s Grove Festivals, as well as first place at the 2015 Australian National Bluegrass Mandolin Championships. Jan Dale’s Southern Style radio program will feature U.S. Old-Time duo Tricia Spencer and Howard Rains. They will be playing live to air and chatting to Jan Dale throughout the radio show on Tuesday 16th Aug at 1:00pm. If you live in Melbourne and beyond and enjoy the hard work and effort that Jan Dale puts into her weekly radio program “Southern Style” then you may well be interested to hear that she has written and had published an article for Bluegrass Unlimited magazine this month. Some years ago John Boothroyd researched and published a discographical publication, “Bluegrass LP Issues 1957-1990, and Australian Bluegrass Recordings – A History and Discography”. Jan Dale recently interviewed John and has written an article on John’s work. It’s not very often that articles written by Australian bluegrass and old time music enthusiasts (and Jan Dale is arguably one our greatest enthusiasts) are included on the world Bluegrass stage. Well done Jan from all of us.